Get a new car seat in case of an accident within 2 years after purchase with our certified safety promise. BeSafe iZi Up is a unique car seat in every respect. 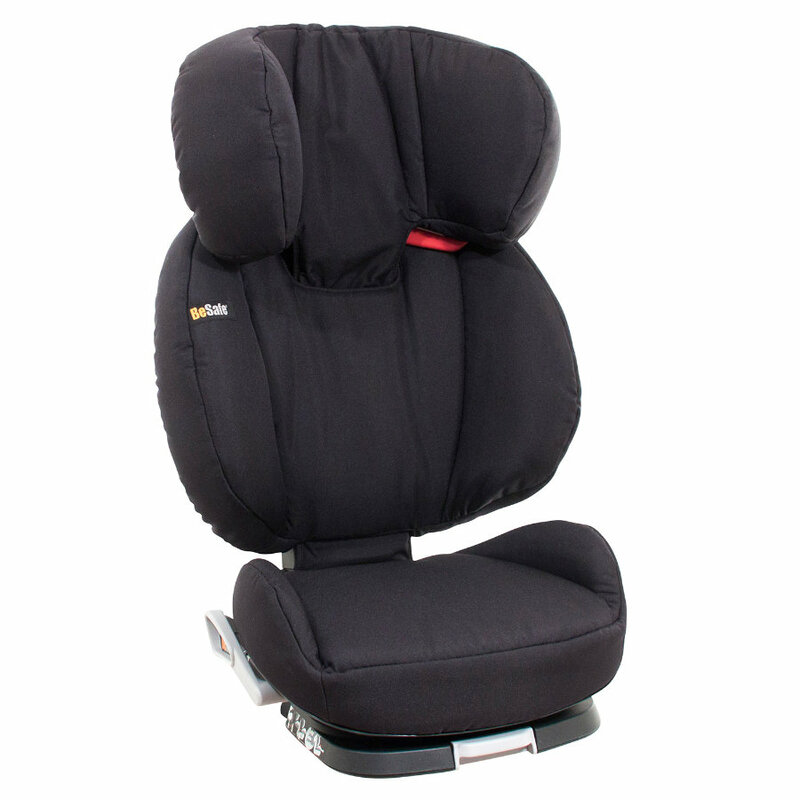 It was the first car seat in its group to be produced without "belt guiding horns". These "horns" were necessary in car seats with removable backrests to use the seat unit only. BeSafe iZi Up is the first car seat that allows a real sleeping positions and it is the only car seat featuring side rotation. The backrest can easily be adjusted with handles on the back. Both handles are synchronised. BeSafe iZi Up provides enough space even for larger, heavier children. The ISOfix arms allow rotating in case of a side impact and prevent the car seat from side-slipping if you transport the car seat without your child. The BeSafe iZi Up X3 FIX features SIR - Side Impact Rotation. SIR ensures that the seat unit and the backrest can rotate on the base in case of a side impact and thus turning your child towards the middle of the vehicle away from the point of impact. Click the BeSafe iZi X3 FIX with its ISOfix connectors in the ISOfix fittings in the car. Apart from that, the BeSafe iZi Up X3 FIX has the same features as the BeSafe iZi Up X3.